1. Why iSportsAsia create this program? We create this program as a platform to connect athlete and sports people with brands. 2. I am not an athlete, can I apply to this program? Once we receive your form, we will review your social media accounts and get back to you within 48 hours. 3. How do you match the influencers with brands? 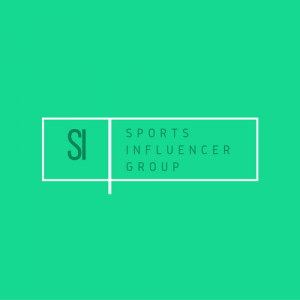 We will recommend influencer based on brands’ choice of sports. Then we will filter the influencers based on the sports of interest and shortlist them. Or sometimes, we will recommend influencers to brands based on their marketing campaign and objectives. 4. I am currently an ambassador and blog for other brands/sponsors, am I eligible to join? 5. How can I get rewarded? Brands may reward you either by giving free products, cash, discounts, events access and much more. 6. When will the work start and when I will get the payment/reward? 7. Are you going to post on my behalf? No, we will not. Your social media accounts and/or blog management is handled by you. We are not going to ask for admin access for any of your social media accounts. However, we will keep track of your statistics, participation, and how your account is performing so we can recommend you to the brands that are looking for people like you. 8. How are you going to keep track of those data? We have a custom analytics platform that we will use for that purpose. 9. What other things that can possibly happen after this? We can only foresee that if your social media accounts and blog are in good shape (high visitors, engaged audience etc), you will have a higher chance to be recommended for more marketing campaign. If you are a full-time athlete, we can consider possibilities for an exclusive representation contract, whereby we will offer you our end to end athlete management solutions. 10. This is interesting. How long will it take for you to review my application?